I had a chronic cough for 40 years and had visited many doctors and many tests without success. Dr. Stadtmauer curedme in no time. I think of him as a miracle worker. I had a chronic cough for 40 years and had visited many doctors and many tests without success. Dr. Stadtmauer cured me in no time. I think of him as amiracle worker. He is an excellent doctor! Very polite, thorough and professional. The staff is also very friendly and helpful, cannot evendescribe in words how happy I am to find such a doctor. Highly recommend! He is an excellent doctor! Very polite, thorough and professional. The staff is also very friendly and helpful, cannot even describe in words how happy I am to find such adoctor. Highly recommend! I look forward to helping you! Please visit my website, https://www.cityallergy.com/prepare-for-your-office-visit/. Dr. Stadtmauer is an assistant professor of medicine at Mount Sinai School of Medicine where he teaches in the allergy fellowship program. He treats a range of allergic disorders with particular interests in asthma, anaphylaxis, chronic cough and sinusitis. His teachings activities include lecturing at national meetings and writing articles and an allergy blog for the WebMD physician site (Medscape) on which he also serves the editorial board. 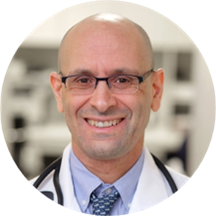 He is a graduate of the Albert Einstein College of Medicine, trained in internal medicine at St. Luke’s Hospital and in allergy-immunology at Mount Sinai Medical Center. He is board certified in internal medicine and allergy-immunology. Dr. Stadtmauer has a strong interest in human rights and has volunteered with Healthright International since 1999. Very nice and thoughtful! Takes time to talk with you which is rare with docs in NYC. It’s nice to feel taken care of and not rushed out for the next...the ladies at the front were so helpful and Ibelieve were either trainees or PAs or Medical assistants, and they were also really nice and super easy to talk to and coordinate with. Wonderful experience - the doctor was informative, confident and kind and I received thoughtful treatment. Nurse staff were friendly and efficient. Dr. Stadtmauer is thorough, approachable, kind and really diligent. I cannot recommend him enough. I came in with a mysterious case of "flushing." He asked me dozens and dozens of questions until he was able to help steer me in theright direction and recommend next steps. Felt like one of the most thorough doctor appointments I've ever had. It is rare to find a doctor in NY that you can just easily trust right off the bat. Dr. Stadtmauer is one of those sometimes hard to find doctors who really listens carefully and spends the time with you to really figure out what’s going on and how to help. I highly recommend him. Dr Stadtmauer has been my doctor for fifteen years. He’s friendly and extremely knowledgeable. His staff is professional, easy to work with and accommodating. Dr Stadtmauer really cares about his patients and I truly admire his commitment,dedication and responsiveness to the patient. He listens carefully and he always does his best to help - even if not directly allergy related! He’s a great doctor and I’ve been really lucky to have him as my physician. I would certainly recommend! Dr. Stadtmauer was knowledgable, thorough and caring. Excellent treatment and I felt that he was able to resolve medical issues that have been problematic for a long time. I highly recommend him! I love Dr. Stadtmauer’s office and whole team. He’s a great, caring doctor with a great staff! My appointment with Dr. Stadtmauer was fine. I find the office to be professional and efficient. Very prompt and effective visit as always. Thanks! Professional, knowledgeable and comfortable! Was put at ease for my first time at an allergist! Very professional, patient, & knowledgeable. Took time to explain steps taken to test for potential allergens. Great doctor and the receptionist was very friendly too! I wasn't too thrilled about taking an allergy test, the dozens of needles involved seemed intimidating. However, the staff and environment made it comfortable for me not to mind it somuch, and now I know all about my severe severe itchy scratchy sneezy allergies! Unfortunately, Dr Stadtmauer didn’t seem to really listen to my concerns. He did a nasal scope and saw that my adenoids were incredibly enlarged but offered no suggestions as to what to do about it. I saw another doctor who said they needed to come out right away. Very thorough and professional. The wait time was very short and I was treated in a reasonable amount of time. I will recommend Dr. Stadtmauer to anyone looking for an allergist. I've been visiting Dr. Stadtmauer for a few years now and he has wonderful bedside manner. He is very thorough and thoughtful and listens to all of my concerns. Dr Stadtmauer provides excellent care and has a warm and friendly bedside manner. He's been my doctor for more than 10 years, and I highly recommend him. Dr. Stadmauer is my favorite of my doctors, and I highly recommended him (and have in the past!) to all. Friendly, efficient doctor and staff. I saw Dr. Stadtmauer almost immediately upon checking in (before my actual appointment time). I was seen by the doctor and a variety of staff for various tests. Everyone was friendly and explained everything that happened along the way. Would recommend. Seemed knowledgeable outside of his expertise which contributed to helping me out I believe with my unusual condition. Very thorough visit. Great staff and bedside manner. Wished all doctors were like Dr. Stadtmauer! Considerate, kind, thorough & knowledgeable. He was incredibly generous with his explanations and time and showed a good sense of humor. I felt he understood exactly what we were talking about.The nurse in his office was also friendly and efficient. We did not spend enough time in the waiting room to use the phone chargers that are available for patients, but it is a great detail. He was excellent. Answered all my questions and made me feel very comfortable. Aside from filling out some routine paperwork since I was a new patient, there was virtually no wait. Dr. Stadtmauer saw me right away, listened to my explanation of symptoms and proceeded to treat me accordingly. His staff was attentive andpatient as I was new to the allergy tests he was administering. I would highly recommend his practice. Hands down one of THE best doctors I have had in my life. Incredibly thorough and even better than my primary. He created a gameplan and made recommendations that changed my life for better the past year. His staff is incredibly efficient and thorough as well. I felt that my consultation with Dr. Stad was in depth and he took the time to look at my problem, treat me, and referred me to a specialist who can treat my condition. Was not thorough enough. His thinking was too linear and did not seem interested in trying to find and answer to a problem. Was supposed to prescribe a medication and failed to send it over. Visit was quick, they did all the tests and got the results while in the office. Dr. Stadtmauer and his staff were kind, efficient, thorough and responsive to all of my questions and concerns. I had never seen an allergist before and did not know what to expect, and I came away reassured and fully informed aboutmy condition. I would recommend Dr. Stadtmauer to a family member or friend, strongly and without hesitation. Highly recommend. Just went for my second visit to Dr. Stadtmauer, and both times I was seen right away. He is very friendly and an excellent doctor. Very helpful, patient and personable! I ended up only having a short visit, but it was a good experience. I was seen within a couple minutes of arriving, and Dr. Stadtmauer was friendly and professional. I don't live anywhere near my doctor from home, so I went to Dr. Stadtmauer after a recommendation from my primary. I am so glad I did. One of the single best doctors I've ever been seen by. He took thetime to look at all of my symptoms, in conjunction with his own investigation. With chronic illnesses, the right doctor is such a personal thing. But even given that, I'm not sure how anyone could walk away from his office and not feel almost immediately better. The office is nice and clean. The staff are professional and friendly. This dr was very informative and professional. Hour ordered the appropriate tests which were conducted quickly. He talked about my results and my options. I will continueto be seen by him. I was happy with my treatment. He was very friendly and offered well researched advice. Dr. Stadtmauer was wonderful. The visit was very thorough, prompt, and solved my pet allergy issues. He was also available for follow up over the phone. The office staff was also a delight-they were both friendly and responsive. For as awfulas I was feeling, it was a very pleasant visit. He is awesoem! Quick and efficient and explained what I needed to know. Was there for allergy tests but he also scoped my nose and throats and discovered a vocal hemorrhage before it got worse! Thank you! He also referred me to the best throat doctor! Thank you! Very good! He was informative and helpful. Quick and efficient... very professional demeanor, listened to all my comments and answered my questions plainly. I would highly recommend Dr. Stadtmauer. His office staff is friendly to boot! Very professional , he listens to you, and willing to help you at his best of his ability !!! The office environment is very clean and neat. Staff is also very polite and professional. Recommend it . Consummate professional. Staff can be a little sassy. professional and knowledgeable. good recommendations for follow up doctors.